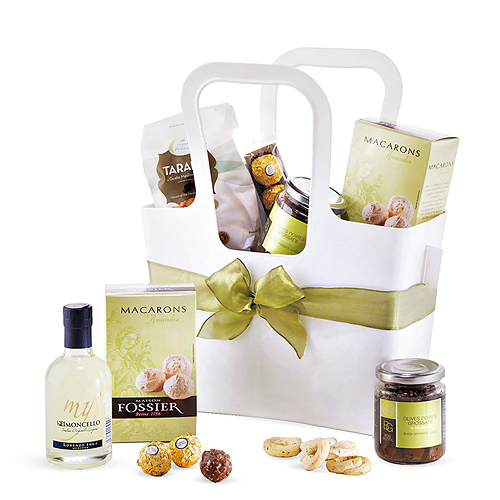 Treat friends and family to the fresh flavors of Italy and France with our Mediterranean gourmet gift set. Discover a delightful collection of sweet and savory pleasures tucked into a versatile Koziol Taschelino tote bag. Enjoy the tart refreshment of Lorenzo Inga Limoncello specialty liqueur. Created from the finest Sicilian lemons, it is a wonderful digestif or ingredient for frozen drinks. The light and airy Maison Fossier Macarons Amandes almond pastry cookies and Ferrero Rocher chocolate covered hazelnuts will please the sweets lover in your life. For the savory side, we offer gourmet black olives and Terre di Puglia Taralli al Gusto Mediterraneo crisps. 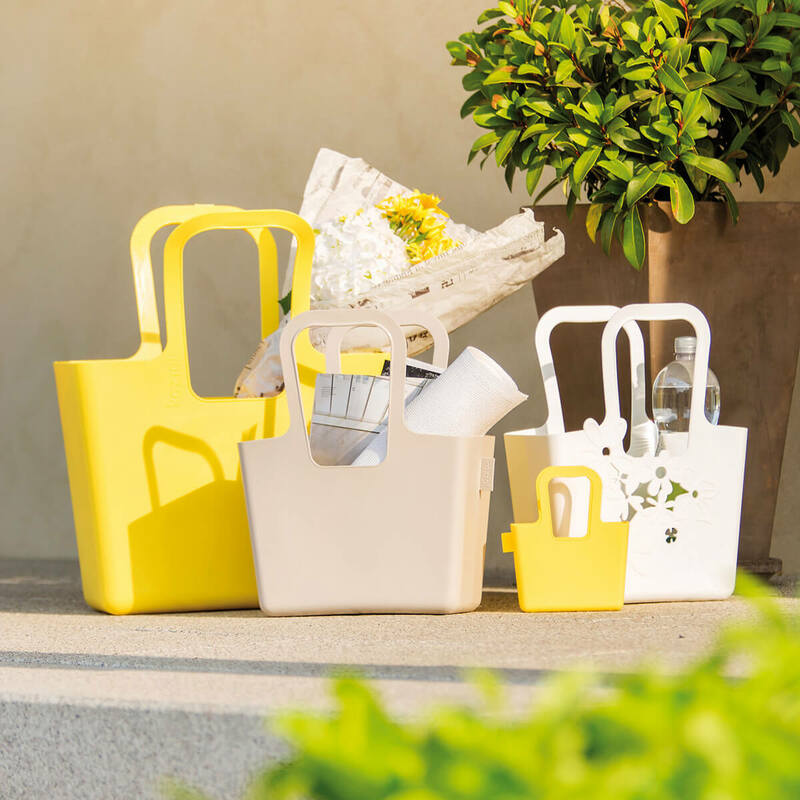 The reusable tote bag will be a lasting reminder of your thoughtful gourmet gift.